Market leaders and the most experienced roof cleaning and roof coating company in Northern Ireland. 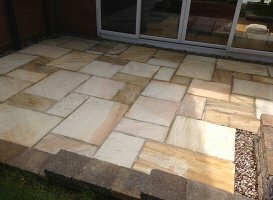 We provide FREE no obligation quotations for Driveway Cleaning and Patio Cleaning throughout the province of Northern Ireland. We can professionally clean and seal imprinted concrete, natural stone and tarmac surfaces to ensure they look like new again. Fascias and soffits are very likely to attract dirt, mould, algae and mildew. This can make the outside of your property very unsightly. We always take great pride in our cleaning and protective coating services and always carry out the best possible surface cleaning service for our clients, wherever they are in Northern Ireland. We can service any pressure washing and roof cleaning and protective coating in all areas of Northern Ireland. Just call 0845 548 5931 or 028 9262 2776 or if you would prefer to send a written enquiry, please fill in our online enquiry form. If you need Roof Cleaning Services or any other Surface Cleaning work carried out, just give us a call or complete our online enquiry form and we will provide a FREE site visit and no obligation Roof Cleaning Quotation. We have undertaken many Roof Cleaning and Coating projects in Northern Ireland and we are confident that you will be happy with the quality of our work and the ongoing Guarantees we provide to our customers. We are happy to quote for roof coating work across Northern Ireland. We receive Roof Cleaning enquiries from all over Northern Ireland and in other towns throughout the province. If you live in Belfast, Lisburn or any other area in Northern Ireland and would like a FREE Roof Coating Quote, please call 0845 548 5931 or 028 9262 2776 or click here to contact us by email and we will call you back as soon as possible. 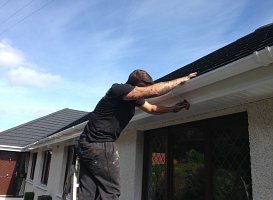 I would have no hesitation in recommending Eco Seal NI to anyone, not only did they do a fantastic job with cleaning and sealing our roof, they took the time to explain the whole process and preparation prior to commencing work and really put our minds at rest when they addressed our concerns. The overall professionalism and workmandship complimented the value of the work they undertook. I found Eco Seal NI to be a very reliable and honest firm. David promised that the job would begin on a certain date and true to his work, Tom and the team turned up as promised. They worked hard over the next six days, tidying up before they left each day. The result was great and I am very pleased to recommend them to anyone needing their roof cleaned and sealed. Most efficient neat and tidy. Work done in time specified and everything done to a high standard. Installation team was very helpful and considerate and kept us fully informed of progress, an excellent experience. Very happy with the standard of work. The installation team were competent and meticulous and left the property in a very clean and tidy condition. I have no reservation in recommending this company. 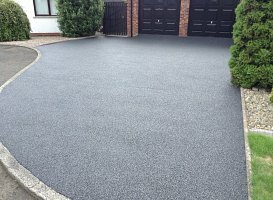 I have to say a huge thank you Eco Seal NI who have done a top class job at restoring my driveway and patio, my husband and I couldnt be more happier with the result. The guys were willing to do extra work with no fuss at all. I wish you all every success in the future and we would highly recommend you to our friends and family. I’m very happy with the work carried out by Eco Seal NI on insulating the loft and cleaning and sealing my roof. Both excellent workers and nothing was too much bother. I’m very happy to recommend them and their work to others. Eco Seal NI worked on cleaning and sealing my roof recently and have shown great prefesionalism at what they do. 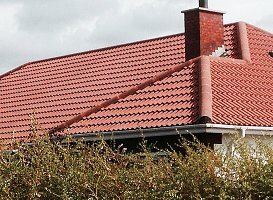 I would like to thank them personally for their fantastic roof cleaning service to which they carried out all the repairs prior to sealing the roof. Excellent work guys and best wishes for the future. All work was finished to an extremely high standard. Everything was fixed and repaired to excellent standards. I would have no hesitation recommending Eco Seal NI. I would like to thank Eco Seal NI for their superb work at my home. I would have no hesitation in recommending them as they did a great job in the roof cleaning and power washing, carried out in October this year. David and his team are not only tremendous workers at their trade but are also two of the nicest people to have worked at my premises. Keep up to date with our latest videos, images and special offers on our Facebook, Twitter and Google Plus pages.